Great stay in Highgate Hard to improve on perfection! Love the art work around the place and top quality suite fit-out. Are you ready for a holiday experience like no other? Do you want all of your needs catered to, no matter the time of day? 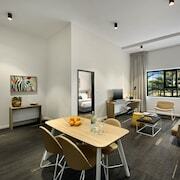 How about staying in a place that embodies luxury across all fronts? 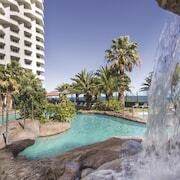 All you have to do is find 5-star accommodation in Perth, book and go. Don’t you worry about prices, either; discounts are out there—you just need to find them. These resorts are about as close as you can get to all-inclusive without them actually being all-inclusive. You do however get some of the finest perks in the industry. Did you spill something on that new outfit you were hoping to wear tonight? No problem—there’s same-day laundry service available. Don’t worry about looking for parking near the hotel; there’s curbside valet for your convenience. And depending on what hotel you choose for your stay, there may even be a barber shop so you can get faded up properly before hitting the town. 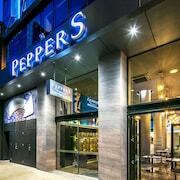 It’s all there for the taking when you walk through the doors at one of these 5-star hotels in Perth. 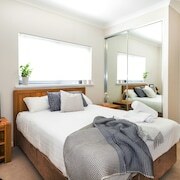 Look at the offers on lastminute.com.au for the best deals at five-star hotels in Perth and book one today. You’ll feel like a king tomorrow.